With permission from one of my instructors at school, Chef Paul, I bring you THE dish that will wow your 4th of July guests. You want evidence of this fact? It's ready in less than 20 minutes, the salt and lemon do the cooking so no sweating over the oven, stove or grill when it's already a million and one out, and did I mention it was created by a chef? BONUS: it's also low in calories, carbs and cholesterol, and high in Vitamin A (thanks to the shallots) and riboflavin (which is good for energy metabolism - thank you, mushrooms). 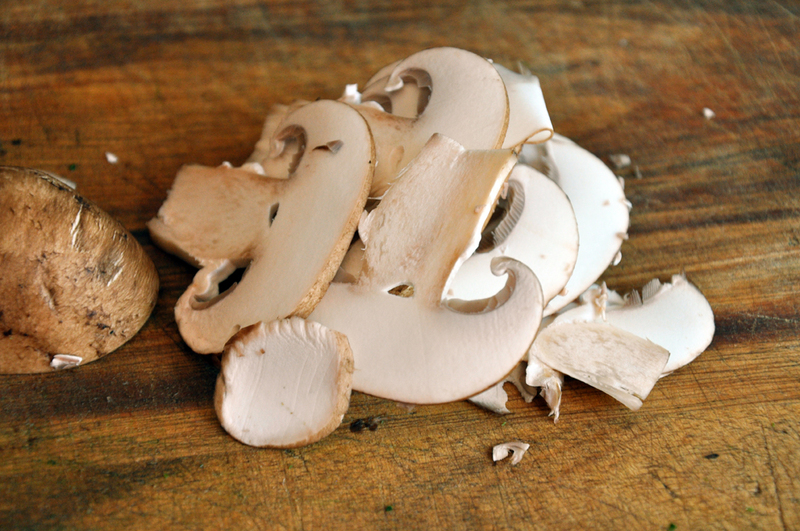 Cut the mushrooms vertically as thin as possible. I got about 25 slices per mushroom. 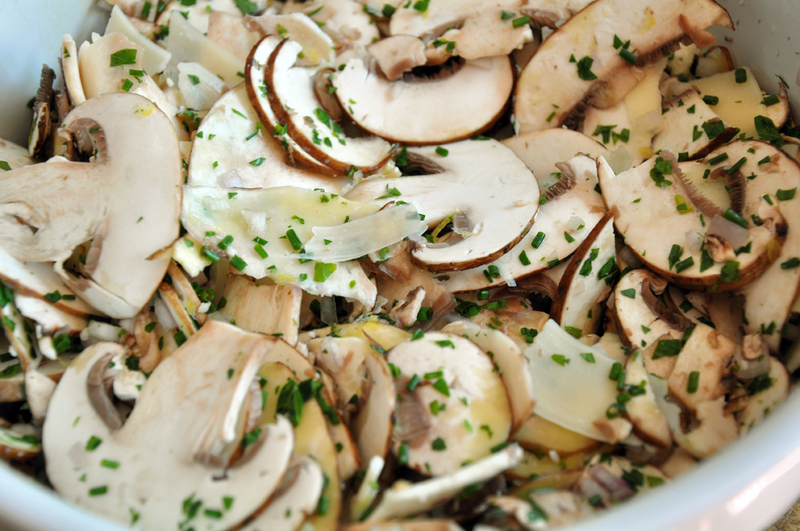 Add mushrooms to a large bowl and toss with remaining ingredients. Let sit at least 5 minutes until some of the liquid comes out of the mushrooms and softens them. 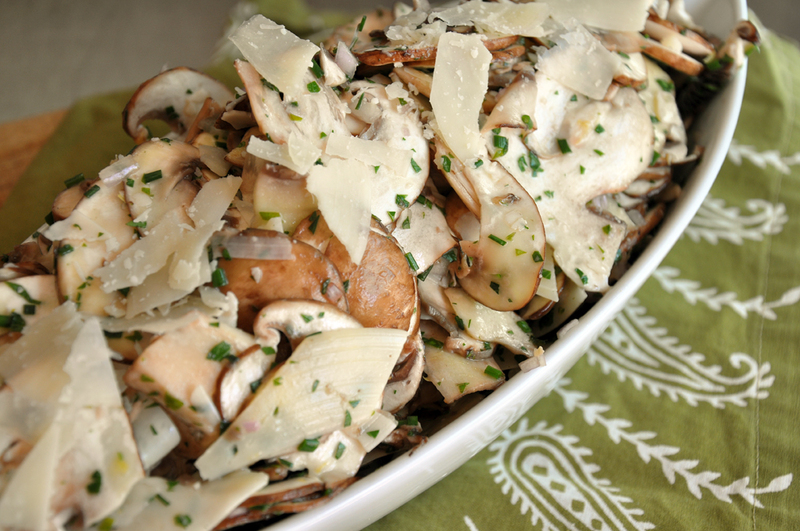 Serve immediately, or if you want to prepare to take to a party, toss the mushrooms, shallot, lemon zest, parsley, and chives in a bowl. Right before you want to serve, finish with the lemon juice, cheese, EVOO and salt.